‘Come out of there you silly cow!’ I said politely. But the cow just stared rudely. I spotted her in a pond near our home for waifs and strays earlier today. The thought that she was perhaps planning a water birth, suddenly crossed my mind. 'Are you having a water birth?’ I said, joking, of course! She just snorted through her nose at me and continued to stare. 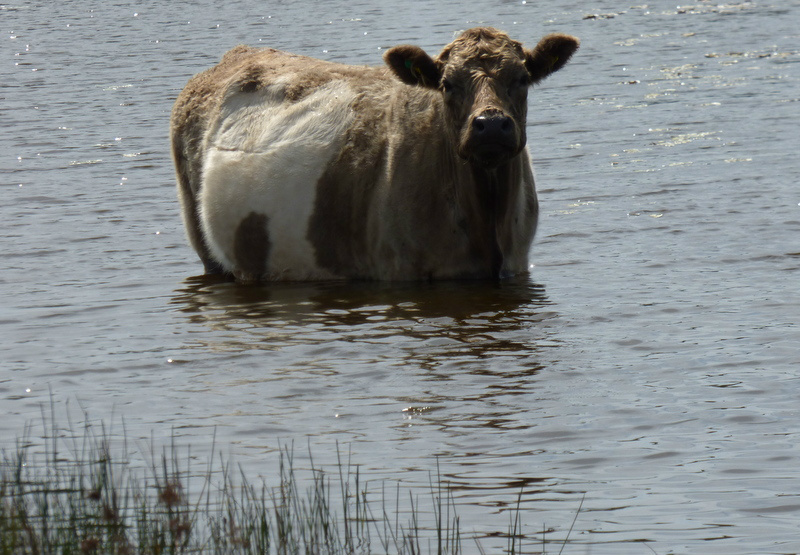 ‘It’s cooler in the water!’ The voice startled me but thankfully it didn’t come from the cow’s mouth. I turned around and saw a man holding a camera with an incredible lens (obviously a professional) smiling as if I had said something odd. I said very little, nodded at the cow and made a quick getaway. Later as I passed the pond again, there was no cow to be seen and for a moment my heart sank at the thought of it drowning. How stupid I was, to be intimidated by a man and his camera. Now the poor cow had probably drowned and it was my fault! I turned towards the car and came face to face, yet again, with the silly old cow that lived to tell the tale.